I'm sure that if you're into beauty then the news that the LUSH Halloween (and Christmas) products launched recently won't come as any surprise. 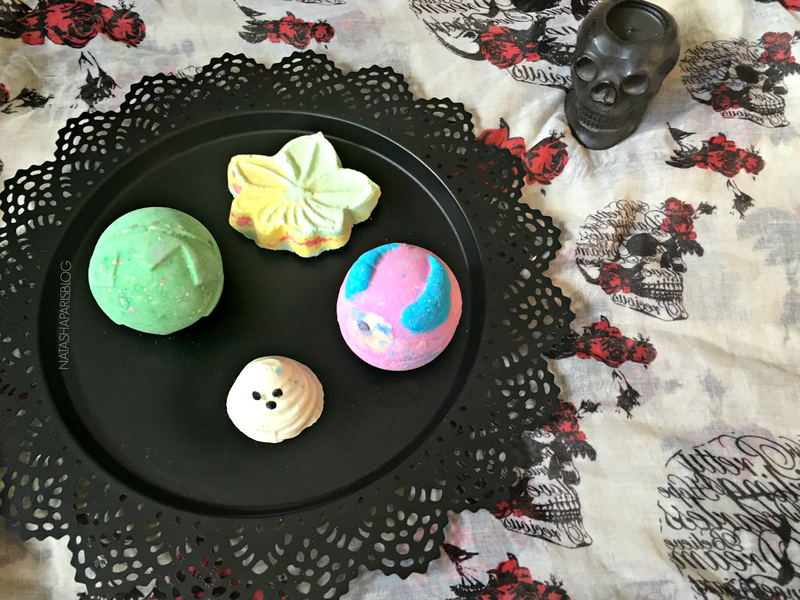 Ever since returning from my holiday I've been itching to see the latest LUSH offerings and I finally got the chance to pop into the Meadowhall store last weekend where I picked up a few products from the Halloween range. I picked up one of my all time favourite LUSH products the Lord of Misrule bath bomb which has returned for another year (I'd definitely recommend if you've never tried it). I also picked up two of the new bath bombs in this years range,Autumn Leaf and Monsters' Ball, along with the Boo bath melt.I can't wait to give the new products a go, I might share my thoughts in a review up once I've used the products (on here or over on Instagram) so do let me know if that's something you'd like to see.